The memorial dedicated to one of the nation's best and most popular presidents is probably just as symbolic of America as the Statue of Liberty. 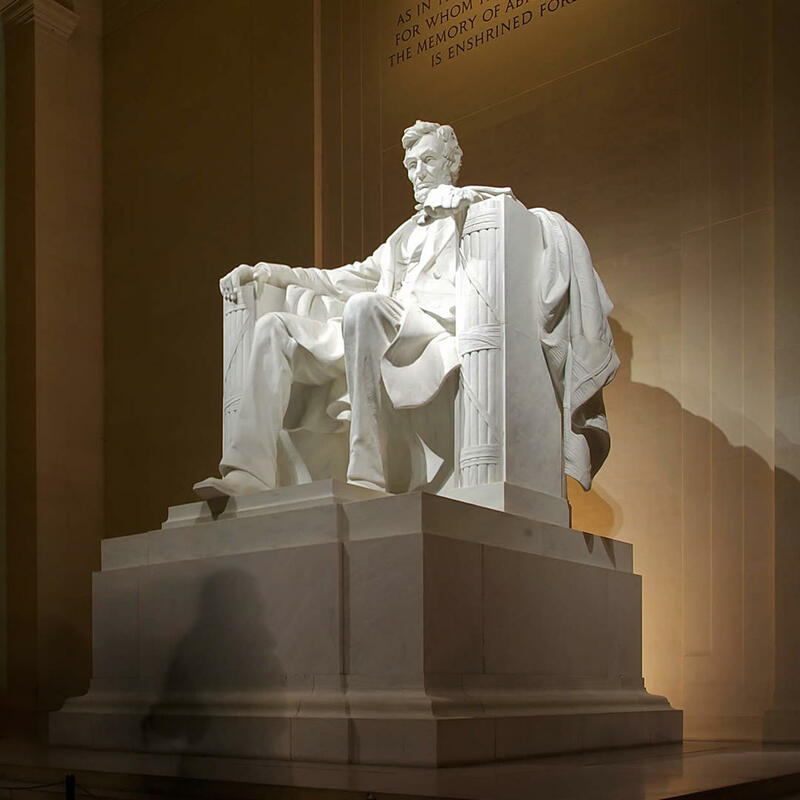 There was much ado about the design Lincoln's would-be shrine - many feeling that a Greek Revival structure was too ornate for a modest man. A log cabin was once proposed but fortunately this current edifice was chosen and completed in 1922. There are a few urban legends circulating about the statue. Some claim that Robert E. Lee's face is carved into the back of Lincoln's head. Others claim that Lincoln's fingers are positioned in American Sign Language. To date, none of the rumors have been substantiated.